My yeast-free nutritional program for children contains no sugar, no dairy, no wheat, nor yeasts. As I pointed out in the previous article, most infants and young children have lactose intolerance. When parents of my clients switched baby formulas from cow milk to soy milk, they observed that their babies’ allergy symptoms such as colic, trench mouth, constipation, diarrhea, and geographic tongue dissipate quickly. I have found that young children actually follow my yeast-free nutritional programs well when their parents are committed. I remember that when we had a restaurant in Westwood, California, we used to have young customers who frequently came for “chicken nuggets” made of soy. This is a proof that taste buds can be changed. Children usually follow the lead of the parents. To learn what to eat and what to avoid, follow my yeast-free cookbook, Healthy and Tasty: Dr. J’s Anti-Yeast Cooking. By the way, in addition to many main dishes and soups, this yeast-free cookbook also has recipes for yummy baked goods including cookies, brownies, and muffins containing no sugar, no dairy, no wheat, nor yeasts. Great treats for young children! Involving children in the cooking and baking process is a great way to help them learn how to eat healthy. Once you are acclimated to my cooking principles, you can create your own recipes regardless of where you are in the world. Keep the baby’s diapers dry and clean. Sprinkling some talcum powder after a diaper change can help prevent diaper rashes. Calamine lotion is great for skin rashes on the face or other parts of the body. 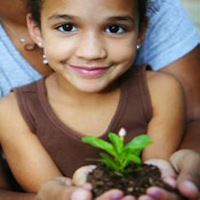 Guide young children to keep their environment organized, dry, and clean. They usually appreciate such a good habit. As mentioned in the previous article, children with yeast infections tend to be misdiagnosed by their pediatricians as having bacterial infections and mistreated with excessive amounts of antibiotics. This, in turn, perpetuates yeast infections. In addition to a yeast-free nutritional program, our Herbal Detox (Yeast-Para Control and Cleansing-Balance Tea) works wonders to clean up children’s mid-ear infections, tonsillitis, strep throat, and asthma. For children who cannot swallow the capsules, our Herbal Smoothie is a great way for them to take the formulas they need for their health. I will post the recipe for my Herbal Smoothie in the next article. Most babies with yeast infections were born with the symptoms. The parents will also need to be treated. It’s common sense that when parents are on a healthy track, the children will more easily follow. Children need assurances that they are loved; otherwise, they tend to think that they were the causes for dysfunctional situations (i.e. feeling guilty for their parents’ break-ups in the case of divorce). Some children also use sickness as another way to get attention when they perceive that they are unloved. Frequent reassurance of love helps build their self-esteem and immunity. Follow the guidelines above, and you will increase your chances in raising healthier and happier children! In the next post, I will share our Herbal Smoothie recipe which is good for the treatment and prevention of yeast infections. Stay tuned. The most common yeast infection symptoms I have seen in infants include: diaper rashes, colic (bloating), constipation, diarrhea, trench mouth, and geographical tongue. Among toddlers and school-age children, the following are common symptoms: mid-ear infections, asthma, digestive problems, allergies, frequent cold and flues, and low energy. Most infants and young children are allergic to cow milk products. Dairy is an item on the no-no list. Some bay formulas also have added sugar that also feeds yeasts. The damp environment of diapers is a good incubator for yeast overgrowth. Diaper rashes are very common if the baby’s diapers are not kept dry and clean. Skin rashes on the face or other parts of the body are also common when the baby excessively sweats. When children are fed “convenient food,” they are prone to having yeast infections. The Standard American Diet (SAD) is loaded with sugar, dairy, wheat, yeasts, caffeine, and chemicals that feed the yeasts in the body and deplete the filtering functions of liver and kidneys. Children with yeast infections tend be misdiagnosed by their pediatricians as having bacterial infections and mistreated with excessive amounts of antibiotics. This, in turn, perpetuates yeast infections. Most babies with yeast infections were born with symptoms. When the pregnant mother experiences a lot of stress, or is addicted to sugar, alcohol, or cigarette smoking, or the father of the baby has yeast infections, chances are the mother will have yeast infection symptoms. The mother can give her yeast infections to the baby through the blood stream or birth canal. Children often feel unloved or “guilty” about their parents’ divorce. Many asthma or mid-year infection cases (which are linked to ADD or ADHD) are associated with a broken or chaotic family life. In the next article, I will discuss drug-free, holistic treatment for children with yeast infections. Stay tuned.